Ready To Start Containing Your Pet? The Best Fence You'll Never See! Training methods that pinpoint maximum containment with minimum correction. 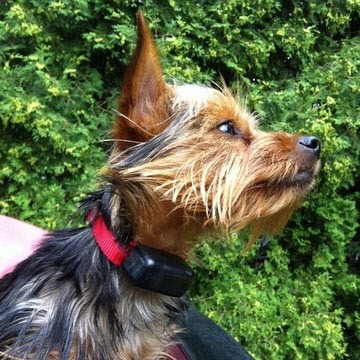 What Makes Puget Sound Pet Stop's Electronic Dog Fence Superior? Our dedication to your pet's overall safety goes "hand-in-paw" with being the most humane and the most secure electronic pet fence system on the market. Puget Sound Pet Stop is a leading provider of electronic pet fencing, serving Western Washington. We chose the Pet Stop® brand of electronic dog fence and Pet Stop® brand of electronic Cat fences because Pet Stop® is committed to continuous research and development of our electric fencing products, applying cutting-edge technology to create the most advanced, highly-effective safe pet containment system available. Our pet fence system is guaranteed to work gently but effectively for any breed of dog or cat outside or even inside your home. Giving you and your pet peace of mind. Our Electronic Dog fence and Electronic Cat fence installation equipment is state of the art which assures you a high-quality permanent pet containment fence solution. We are driven by a genuine concern for keeping your pet safe and protected. 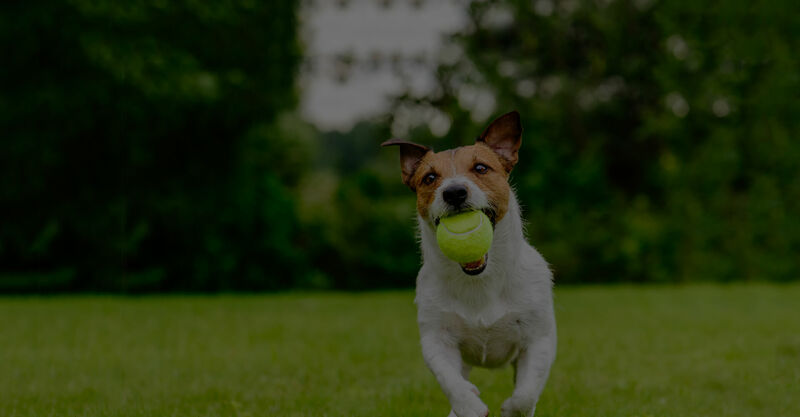 Our Dedication to your pet’s overall safety goes “hand-in-paw” with being the Most Humane and the Most Secure electronic pet fence system on the market. Now Available EcoLite Plus® Finally a collar receiver that is Extra Small in size and Large in features. With a rechargeable battery and a diagnostic cradle charger, never worry about batteries or if our collar is working again. The EcoLite Plus® is the industries smallest receiver with a rechargeable battery weighing only .8 ounces making it perfect for small dog breeds and cats with features big enough for largest of breeds. Swap Out program available for customers that have a different brand other than Pet Stop looking for the most Eco friendly and most humane in features. We love Puget Sound Pet Stop! When we moved to our home, we knew we had to have a wireless fence to prevent our golden retriever Lily from joyously frolicking after every deer in the neighborhood. Debbie came out to do the installation and the initial training. With her instruction, Lily learned the set-up in one day, but of course, we followed the instructions and repeated the training as described in their simple manual. Now Lily can enjoy being outdoors and circle the entire property without our worrying about her location. Puget Sound Pet Stop is just so professional and easy to work with that we recommend them highly. Having the wireless fence just makes life so much easier for all of us. Thanks, Debbie! My fence was installed about 8 years ago. It was installed by the former Pet Stop Dealership. Three neighbors went into it together. It circles all three homes and adjacent forest land. There is now a new dog in the mix and we need the fence working again. The neighbor who had the transmitter had lost it. We still had the Elite Collars, which are programmable to be compatible with various brands of transmitters and have a life time guarantee. We were able to obtain a transmitter but it was a competing brand. I called Puget Sound Pet Stop as the local dealer. She told me if I came into their shop shes be glad to program the collar and do so without a service call fee. We agreed upon a time. It turns out she was not even in the office and had to drive in to meet me. And Im a Pet Stop Brand customer but never Puget Sound Pet Stops customer directly. I am so please and was so impressed with the customer service that I just had to take a moment to write about it. Want to work with a local family owned company that will love your dog as much as you do? Want the best electronics in the industry without paying outrageous prices? Worried about the correction hurting your dog? Want service right away without waiting two weeks? At Pet Stop our philosophy is maximum containment with minimal correction, and our electronics support that philosophy. The Eco-Lite rechargeable collar runs a full diagnostics every time you charge the collar showing you that it is working properly. Plus we have the lowest correction levels in the industry, and we work with your dog to map the right correction level before we even install the fence. Call 425-931-6897 or fill out the form below and we’ll quote you a price over the phone!